A comprehensive survey by RIT in 2016 identified process optimization as one of the most significant opportunities for technological innovation in the remanufacturing industry. Remanufacturing relies on a variety of process steps not performed during original product manufacturing, and as such, many of these processes have not undergone the same extensive refinement, standardization, and technological optimization that are typically implemented during the initial manufacturing stage. One promising technology is additive manufacturing (AM). AM technologies offer significant process improvement opportunities for remanufacturers through faster component replacement and better parts properties while providing a significant cost savings compared to conventional machining. Yet, despite the clear advantages, the same survey revealed that only larger companies are the ones exploring and using AM technologies. When asked, most remanufacturers aren’t using them at all because these processes are not viewed cost effective given the capital investment and/or additional finishing steps after AM operations. 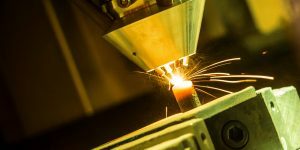 With a wide array of AM technology options on the market today, it can be challenging for any remanufacturing business to select the most appropriate and economically feasible additive production or repair technologies. Next month, RIT will host a half-day workshop to help business and manufacturing leaders select the proper AM process for salvaging cores based on cost-benefit analyses. This one day class will improve remanufacturers’ ability to select the optimal AM approach and all registered participants will have the opportunity to submit their own example components for an “in-class case study” demonstrating how to determine the most economically viable AM options.